As Healthy Eating Specialist for Whole Foods Market, in North Wales, PA, I am hosting a Seven-Day Summer Shape-Up, a gentle and easy-to-follow "cleansing" program. Today is the fifth day of the program. Day 5: Friday, June 27: Eat only fresh, raw fruits and vegetables and/or lightly steamed vegetables or baked sweet potatoes or potatoes. Drink only clean, purified water and/or gently cleansing tea. (Limit fruit to 2-3 servings per day). "When breaking...all fasts, the most important rule is to not overeat. The success of a fast depends on how well it is broken, for the desire to binge can be overwhelming. If one immediately puts all the excesses back in that came out during the fast, any benefit is doubtful." This is the reason we've developed a seven-day fast that includes two days of gentle eating at the beginning and end of the fast. I know from my own experience that breaking a fast in the wrong way can not only negate the benefits, but also cause serious problems. I felt sick for days after: sick in my gut and head, so angry at myself for my idiotic indiscretion. 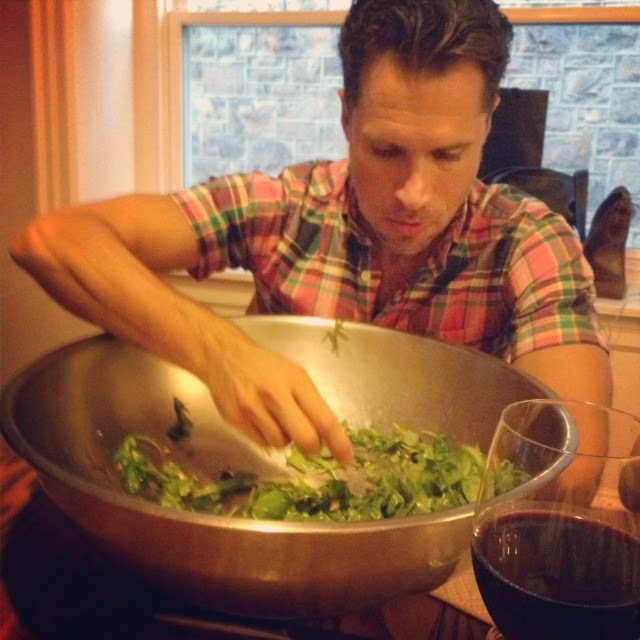 To honor (and subvert) my former idiocy, I now eat my salads out of mixing bowls. "I must have looked like a monster. I was sitting in the front seat of my car, parked at a fire hydrant alongside a busy Bronx sidewalk. I had a crazed look in the eye, my face seemingly smeared with blood, dripping from the chin. Teeth gnashing, I rolled down the window to spit out a mouthful of carnage, trailing a line of saliva from my bottom lip to the curb. People on the sidewalk took a wide berth of my car—afraid to look too closely, afraid they might see the scattered, half-eaten limbs of children strewn across the back seat. Afraid I might eat them too. I was only eating a pomegranate, barehanded, with no napkin or utensils. I forgot to get them from the guy at the fruit stand. It was the fifth day of a week-long cleansing fast. I was sucking out the juice, spitting whole mouthfuls of seeds into the street. At the time, I was too delirious with hunger, too high from fasting to care what I looked like. I was only concentrating on the taste of the juice in my mouth: a supernova of sweet, a cataclysmic explosion on my starved palate. I had never tasted a pomegranate like this before." "I tasted pure honey for the first time one summer at the age of twenty at Miller's food store in Lancaster. By "pure" I mean that I ate the honey without any accompaniment whatsoever. It was merely a drop, an accident really: I had spilled the tiniest amount while opening the jar and, without thinking, I licked it up. At the time, I had not eaten for three days—I was in the midst of a three-day water and lemon fast—and this isolated taste of honey was the most unexpected and pleasurable food experience I could have imagined." If you've followed the outline of this Summer Shape-Up, you might be experiencing this pleasure now; or perhaps you will experience it tomorrow, when you eat your first non-fruit or vegetable food. If you have any questions about tomorrow, please email me: sethpollins@gmail.com. And if you get a chance, please come see me at the Ambler Farmers' Market. I'll be there all day teaching kids' cooking classes. As Healthy Eating Specialist for Whole Foods Market, in North Wales, PA, I am hosting a Seven-Day Summer Shape-Up, a gentle and easy-to-follow "cleansing" program. Today is the fourth day of the program. Day 4: Thursday, June 26: Eat only fresh, raw fruits and vegetables and/or lightly steamed vegetables or baked sweet potatoes or potatoes. Drink only clean, purified water and/or gently cleansing tea. (Limit fruit to 2-3 servings per day). Today we continue the challenge of eating only fruits and vegetables for two more days. In my experience, the second day of a fruit and vegetable fast is often the hardest. Anecdotal reports across the Internet seem to agree with this view. Generally speaking, the first days of any diet are considered the hardest. I don't say this discourage you, of course, but to simply prepare you for a potentially challenging day. And just remember: tomorrow is the final day. You only need to make it to Saturday morning, when you are free, within reason, to begin eating a more expansive diet. (We will talk about "breaking your fast" tomorrow). 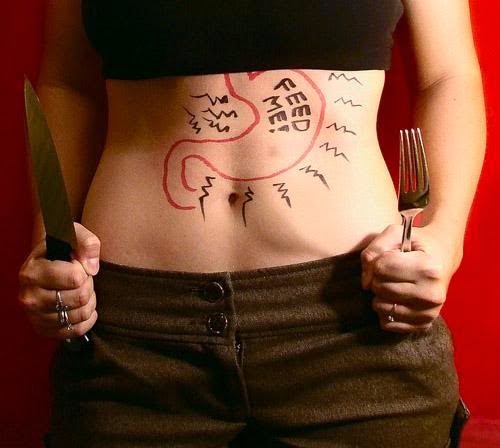 Today, especially, you might find yourself bothered by hunger pangs or cravings for certain foods. In my experience with fasting, I typically begin to dream about food on the second or third day. Once, in the midst of a Master Cleanse, I found myself dreaming nightly of bananas. Do not ignore your hunger. If you feel hungry, eat. If you feel you must eat more than fruits and vegetables, eat nuts. But moreover, do not ignore your hunger because, in a real sense, this feeling is exactly why you've found yourself here, now, in this moment. For that matter, why do we eat? Why do develop cravings for food? It isn't always food that we crave. What is it then? By examining your hunger as it occurs, in the moment, you might discover new answers to these questions. I stopped eating wheat nearly ten years ago--a decision that irrevocably improved my health. I did not come upon the decision easily. In fact, I believe I needlessly suffered years of symptoms simply because I told myself I'd never, ever stop eating wheat. Why? Well, so much of my experience with food had been determined by my love of wheat. I had so many positive associations with wheat; so many joyful moments. In fact, I date my true love affair with food to a precise moment in Florence, Italy, when I discovered my first crepe. "My life as a cook commenced at the age of twenty-one, on a curb in Florence. It was a warm afternoon in early April and I had just discovered an open-air creperie on one of the hidden streets around the San Lorenzo market. Poking my head under the blue awning, I ordered a crepe with Belgian chocolate. A greasy, good-looking woman with a full mouth poured the batter onto a cooking stone, spread the batter thin with her spatula, and flipped the crepe onto another stone. Fluid in her movements, she barely paid attention as she spread the chocolate on the crepe, as the butter sizzled and melted on the stone. I paid for the crepe and sat on the curb where a line of students were laughing and waiting. I took a bite. Suddenly, powerfully, I was stirred. I took another bite, a wide mouthed chomp of pure boldness. Chocolate oozed onto my lips. The crepe was delicious, perhaps the most delicious crepe in Florence—no, in the world! I looked at the greasy crepe lady. She certainly was good-looking. Suddenly, I felt an inexplicable urge: I wanted to make my own crepe. And I knew only this: it must be the most delicious crepe in the world. I'm still working on it. Ten years later, I have yet to reproduce the most delicious crepe in the world. But the pursuit has inspired me. I just can't shake the indomitable bug that bit me that afternoon: the desire to create food. 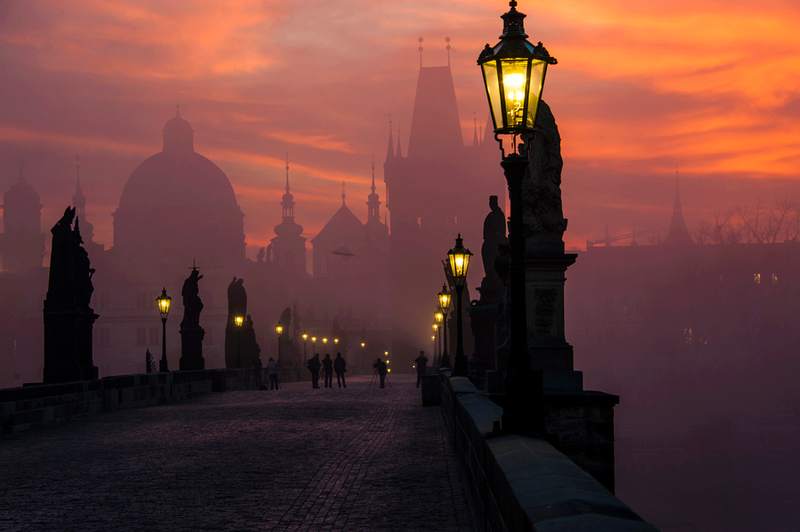 That afternoon, I walked back to my pensioni, burdened with flour, fresh eggs, and a handful of chocolate chips. I spent several hours in the kitchen, trying to create, or rather re-create, the perfect crepe. Of course, I failed. And yet I did not suffer the sorrow of my failure. Later, lying in my bed, stuffed with batter and chocolate, I felt absolutely happy: I had spent the afternoon immersed in a creative venture, and the experience had vivified me. This is the joy of cooking: the creative venture. I'm a writer. I'm also a cook. Both are forms of creative expression. Often, to me, cooking is the most powerful form of creative expression—an expression of love for those you cook for. When you mix the batter for a crepe, you are really writing a love poem." When I stopped eating wheat, I felt as if I had lost this person--this inspired, young man. It took me nearly a year to understand that, in fact, I had only lost the crepe--or, in any case, future crepes. Everything else--the boldness, the desire to create food, the joy--remained. It might've taken me a year to understand this, yet I felt the benefits of avoiding wheat within a day. This experience--as well as the experience of so many others--has taught me that we often hold onto ways of eating that no longer serve our needs. We do so because we're in thrall of our former lives, all those moments that once gave us happiness. A moment is not simply about a crepe, though. And, of course, we change. Our bodies change. Our emotions change. Our associations evolve. So: How do you feel now? In the spirit of now, I'd like to offer a selection from Leaves of Grass, perhaps my favorite section of the entire poem. As Healthy Eating Specialist for Whole Foods Market, in North Wales, PA, I am hosting a Seven-Day Summer Shape-Up, a gentle and easy-to-follow "cleansing" program. Today is the third day of the program. Today we meet the challenge of eating only fruits and vegetables for three days. If, in fact, this diet feels too challenging for you, I suggest adding small amounts of fats, like nuts (1/8 cup per meal) or coconut milk. Remember, too, fresh olives are a fruit. You might also add additional protein foods to lunch or dinner: 4 oz. of lean protein, like chicken breast or wild cod, or 4-6 oz. tempeh braised in coconut milk and spices, or 1/2 black beans or adzuki beans. A Shape-Up participant, Jane, asked, "Can we use small amounts of oil for our salads and steamed vegetables?" In theory, of course, you can eat whatever you like. This program is designed to gently guide you through seven days of light and healthful eating. If you feel that the design is too rigid--if you find yourself ravenously hungry--please add additional foods to suit your tastes and temperament. If you do use oil, however, I suggest sticking to small amounts (1-2 teaspoons per meal) of raw extra virgin olive, raw extra virgin avocado oil, or unrefined nut or seed oils like sesame oil. For your vegetables, you might also use apple cider vinegar, balsamic vinegar, or wheat free tamari or mirin. In short, if a small amount of extra virgin olive oil and balsamic vinegar help you stay the course--well, then, I say, "Do it!" Another challenge with this sort of diet is boredom. Most of us typically do not spend much time preparing fruit and vegetable dishes. If you're like me, for example, your tendency might be to treat your vegetables simply. Today, I'll steam my vegetables and toss them with my avocado dipping sauce. That's it. For inspiration, browse Whole Foods Market's "Healthy Eating" recipes. Avocado and Grapefruit Salad is simple and healthy. Or how about a Carrot Dressing for your vegetables? My friend, Candy Calderon, a health coach and recipe extraordinaire, offers plenty of inspiration on her Facebook and Instragram pages. Both of her recipes below use small amounts of oil, yet otherwise emphasize the elegant simplicity of fresh fruits and vegetables. Persimmons stand in for tomatoes and avocados for mozzarella in this Asian take on a classic Italian appetizer. Whisk together sesame oil and tamari in a small bowl. Set aside. Arrange avocados and persimmons slices in overlapping pattern on serving plates. 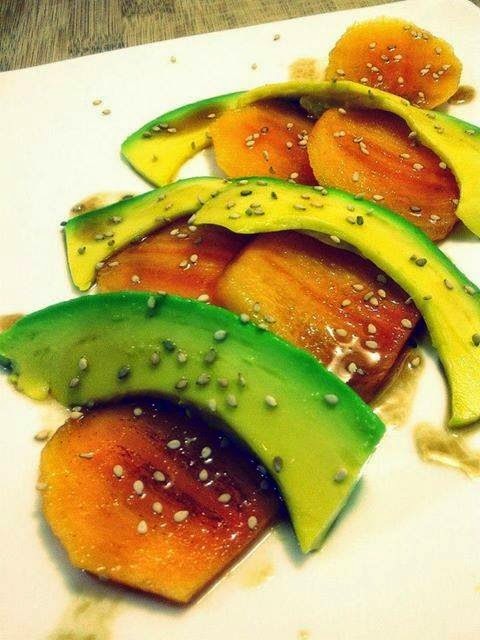 Drizzle with sesame dressing and sprinkle with sesame seeds (if using). If you're looking for more sustenance, and feel that you need extra protein, you might try my Mango, Avocado, and Black Bean Salad. However, Candy's recipe below is both beautiful and sustaining--a perfect lunch salad. After preparing the mangoes and avocado, simply mix all the ingredients together in a bowl. 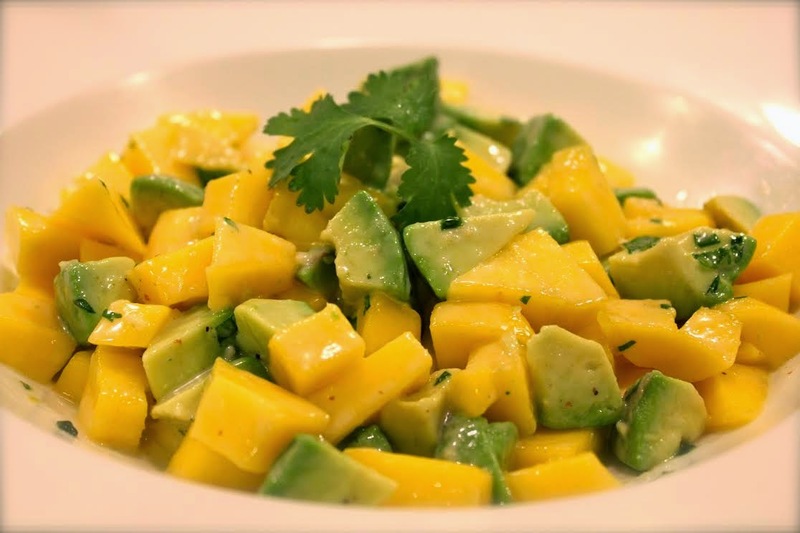 Candy's Mango and Avocado Salad: Gorgeous! If during the program you have any questions, please take advantage of the "open-email" policy: email me at sethpollins@gmail and I will try to return your email within a few hours. Or please feel free to leave a comment below! For the first thirty-two years of my life I suffered skin problems: daily bouts with acne, monthly eczema, and seasonal seborrheic dermatitis. Then I stopped washing my face—and my skin problems disappeared. For four years now, I’ve used only one “product” on my skin—yogurt, with added probiotics—and for four years I’ve lived without the slightest hint of my former blemishes. "Perioral dermatitis...is skin disease characterized by multiple small...papules, pustules and vesicles which are localized to the perioral skin (around the mouth)." I'd tried many different approaches to treating this condition, both conventional and natural, including extra virgin coconut oil, Balmex, sensitive face washes, and antibiotic gel. Each morning, I woke with the hope that somehow, miraculously, my POD had disappeared. And each morning, I felt demoralized by my first glance in the mirror. Vanity aside, it's objectively hard to face the world with a face full of papules, pustules, and vesicles. After three months of this heartache, I seriously considered my dermatologist's first recommendation: a six-week course of internal antibiotics. "When faced with a health challenge, I read every bit of information available on-line and in print…What I learned about POD…is that it's often a result of skin sensitivities. On my favored message board, Earth Clinic, many people suggested a simple cure for POD: don't do anything. Don't use any soap. Don't use anything. Maybe just a little apple cider vinegar. Or yogurt." 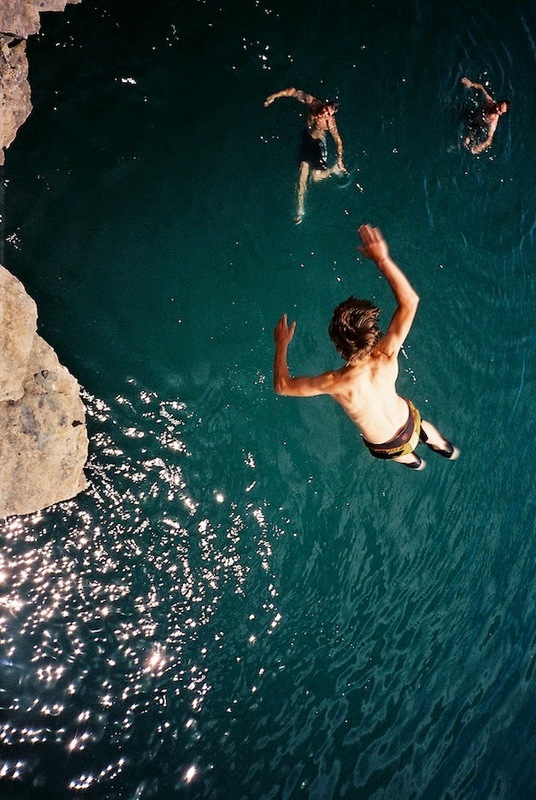 The idea seemed so ludicrously simple, so antithetical to my need to do, that I did not take it seriously. (I wished I'd known then what I know now about bacteria and skin health). In any case, after three months, feeling confused by my myriad treatments, and frankly just exhausted by my relentless need to do, I decided to give up, to do nothing. So I did exactly this. Abandoning the costly skin treatments I’d relied upon for years, I washed my face with nothing but water. This approach seemed to help, but I did not see quick results. 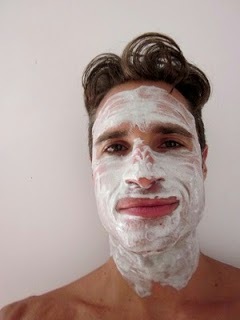 So, as a gentle addition, I started applying yogurt masks three times a day (for up to 30 minutes each application). My POD improved dramatically in a week, and disappeared entirely within three weeks. Since that time, I’ve come to believe that my skin problems were not simply the result of “sensitivities" or a faulty skin-care regime. I've come to see that skin health is not necessarily dependent on any regime at all. In fact, the absence of soap and addition of yogurt seemed to hint at the opposite: the best possible skin antidote is the one we've always been taught to fight: bacteria. Yogurt masks cured my perioral dermatitis--and dramatically improved my complexion. Today, I only wash my face with water. Additionally, I apply about one yogurt mask per week. "Biologists have now taken a census of the bacteria that live on our skin, and it turns out that the diversity of life there is quite remarkable. The bacteria between our eyebrows are different from those on the elbow or in some other nook or cranny." And apparently this bacterial diversity is a key to health--on the skin, and in the body. "A loss of diversity, say, or a proliferation of the “wrong” kind of microbes — may predispose us to obesity and a whole range of chronic diseases, as well as some infections…"
In terms of skin health, then, we might be compromising the variety of our bacterial communities--from our eyebrows to our elbow nooks--by the use of the very products marketed to keep our nasty bacteria at bay. "The tonic looks, feels and tastes like water, but each spray bottle of AO+ Refreshing Cosmetic Mist contains billions of cultivated Nitrosomonas eutropha, an ammonia-oxidizing bacteria (AOB) that is most commonly found in dirt and untreated water. 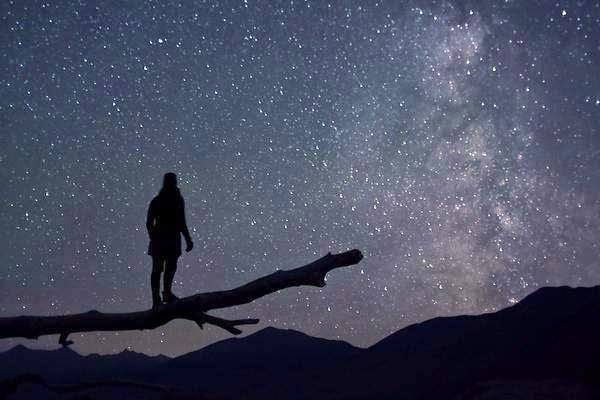 AOBiome scientists hypothesize that it once lived happily on us too — before we started washing it away with soap and shampoo — acting as a built-in cleanser, deodorant, anti-inflammatory and immune booster." "My skin began to change for the better. It actually became softer and smoother, rather than dry and flaky, as though a sauna’s worth of humidity had penetrated my winter-hardened shell. And my complexion, prone to hormone-related breakouts, was clear. For the first time ever, my pores seemed to shrink." I’ve felt a similar reluctance since I stopped washing my face four years ago--a reluctance that now extends to body soap and shampoo. If my no-soap has been so beneficial for my face how might a similar regime effect my whole body? 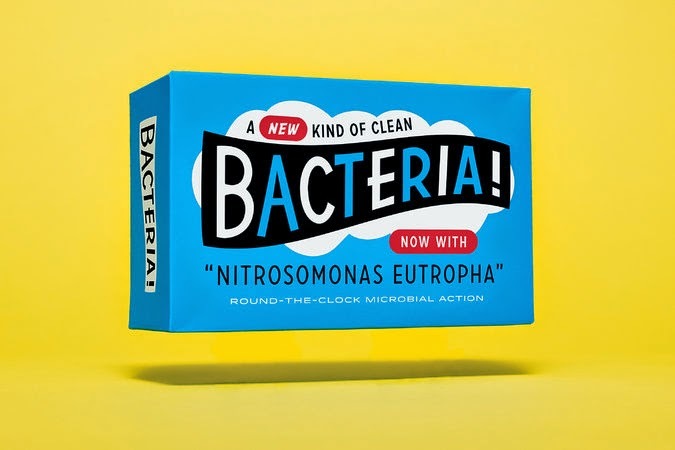 For the sake of my wife, I’ll probably stick to my Dr. Bronner’s Soap and Acure Shampoo--at least until AOBiome releases its product. But I have to admit, on the heels of my success with yogurt masks, I’m deeply intrigued by the possibilities of bacteria for skin health. "The answer was equivocal: Sodium lauryl sulfate, the first ingredient in many shampoos…but nearly all common liquid cleansers remove at least some of the bacteria. Antibacterial soaps are most likely the worst culprits, but even soaps made with only vegetable oils or animal fats strip the skin..."
At the very least, avoiding these ingredients and sourcing more natural alternatives, just might improve your skin health. And if you suffer from skin problems like acne or the dreaded perioral dermatitis, I suggest replenishing the diversity of bacteria by using a yogurt mask. I add probiotics to the yogurt to amplify the effects of the good bacteria. Full-fat yogurt is best. And Greek yogurt is a must--other, less thick yogurts, sort of just slide off your face. This recipe is good for a week's supply, depending on your usage. As Healthy Eating Specialist for Whole Foods Market, in North Wales, PA, I am hosting a Seven-Day Summer Shape-Up, a gentle and easy-to-follow "cleansing" program. Today is the second day of the program. Today we prepare ourselves physically and emotionally (and logistically) for the challenge of eating only fruits and vegetables for three days. "Cleansing" is a relative term; it generally means the purging of excess toxins and residues--a view not supported by medical science. According to the alternative health community, cleansing can be achieved in many ways; a fast is one method of cleansing. Others might include: enemas, cleansing kits, or extreme flushes. Alternative health practitioners might urge you to expel mucoid plague. For medical science, though, the value of fasting is not detoxification, but cellular renewal and increased insulin sensitivity. If anything, the two agree on one simple fact: the digestive system requires a great deal of energy. Depending on your view, then, you might believe that when not digesting food our body works to detoxify or, as Stipp, writes "rev up cellular defenses against molecular damage." Local greens and strawberries: I suggest eating a large salad each day for lunch. As Healthy Eating Specialist for Whole Foods Market, in North Wales, PA, I am hosting a Seven-Day Summer Shape-Up, a gentle and easy-to-follow "cleansing" program. Today is the first day of the program. Today and tomorrow will serve as a gentle preparation for the somewhat more rigorous challenge of eating only fruits and vegetables for three days. The purpose of today's restrictions is to ease the burden of digestion and reduce the amount of circulating insulin in the blood stream. You might already feel an intuitive sense of how avoiding foods like wheat, dairy, processed sugar, alcohol and grains can improve your digestion. Anecdotally speaking, this is the diet I've followed everyday for ten years--with the addition of wine--and I've experienced profound physical and emotional benefits. I credit this diet--and the addition of bacteria-rich fermented foods--with essentially healing the symptoms of three chronic auto-immune illnesses: Raynaud's phenomena, fibromyalgia, and ulcerative colitis. I've never taken any medicine for any of these conditions. I've treated all of them exclusively with this diet. If you're seeking evidence beyond my own anecdotal account, I suggest spending some time today reading the available science on gluten (and here), dairy, processed sugar, alcohol, and grains. Beyond digestion, however, reducing your circulating insulin levels might offer the most profound benefit. Many people do not know that insulin is a hormone that exerts a powerful effect on the human body. If you're interested in learning more about insulin's effects on health, I suggest reading "Always Hungry? Hear's Why" or any of the abundance of available science. Think Brown Rice is Healthier Than White Rice? Think Again! When I was twelve, my father lived at an ashram for a few seasons, and I stayed with him each weekend, essentially living the life of a monk. To my sensibility, the food was deplorable, and no single food upset me more than the brown rice: the ever-lasting staple. Unfortunately, the potential health drawbacks of brown rice (as compared to white) have only recently come to light. And yet, I believe the evidence is hard to ignore. If you’re a brown rice enthusiast, you might do well to read the following information. I would’ve liked to present this information to the trim yogis back then—but alas, it was not available. "Aside from providing excessive calories as carbohydrates, one of the major adverse consequences of most grains is that they are loaded with toxins…the average person gets about 1.5 grams of natural food toxins daily, which makes up more than 99.9 percent of all the toxins ingested. These are toxins made by plants, as opposed to manmade toxins, which serve to protect the plant from being eaten by mammals. The one grain type that is virtually toxin free is white rice, which has far fewer toxins than brown rice. The vast majority of toxins in white rice are destroyed by cooking…"
The "toxins" Mercola refers to are also often called "anti-nutrients." Gluten and lectin are two examples of anti-nutrients. You might have read about gluten before. If you're unfamiliar with lectins, I suggest reading any number of articles from the National Institute of Health's website, or this article, specifically: "Do dietary lectins cause disease?" You might also read this helpful post from Mark's Daily Apple: "The Lowdown on Lectins." But it’s not just arsenic and cadmium, which are present in soil both as naturally occurring elements and as industrial byproducts. Recent studies have shown that rice is custom-built to pull a number of metals from the soil, among them mercury and even tungsten…The highest levels often occur in brown rice, because elements like arsenic accumulate in bran and husk, which are polished off in the processing of white rice. The Department of Agriculture estimates that on average arsenic levels are 10 times as high in rice bran as in polished rice." If you’re looking for an all-purpose rice recipe that minimizes exposure to potentially toxic substances, I recommend one that suggests washing and soaking the rice (recipe below). In a medium saucepan, wash the rice in seven or more changes of cool water until the water runs clear. Cover the rice with cool water and set aside to soak for 30 minutes, or up to 18 hours. Drain the rice. Throw the water, olive oil, turmeric, garlic cloves, slices ginger, a few pinches saffron, and 1/4 teaspoon sea salt into the pot. Bring to a boil over high heat. Reduce the heat to low, cover, and simmer until the water is absorbed, about 15 minutes. Remove the rice from the heat. Remove the lid and put a few paper towels over the pot; cover again and let stand for 5-10 minutes. Fluff with a fork, remove aromatics, and serve.